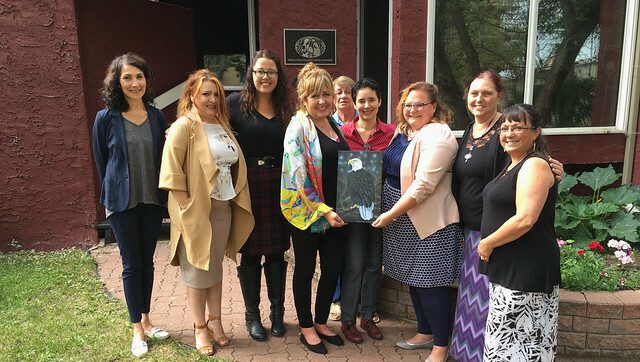 A provincial grant to Native Friendship Centres is supporting the hiring of four navigators to connect people with life-saving treatment, harm reduction and culturally sensitive wraparound services. Minister Hoffman meets with members of the Alberta Native Friendship Centres Association to discuss new supports to address the opioid crisis. Navigators have been hired in Edmonton, Calgary, Lethbridge and Grande Prairie with the support of the $400,000 grant. Workshops, naloxone training sessions and educational material will also be provided to staff at Friendship Centres in 21 communities throughout the province. These new tools will support greater substance-use awareness and prevention and strengthen access to culturally appropriate services for Indigenous people. Elders, health-care providers and people with lived experience are working with Friendship Centres to provide guidance on a traditional and culturally appropriate approach to supporting individuals affected by substance use. First Nations and Métis people have higher rates of opioid overdose deaths, emergency department visits and opioid prescriptions compared with non-Indigenous people. Supporting Indigenous communities with new tools to respond to the opioid crisis is a recommendation of the Minister’s Opioid Emergency Response Commission. Opening new opioid dependency treatment spaces across the province, helping an additional 4,000 Albertans every year. Distributing more than 83,000 free naloxone kits, with more than 4,500 reported overdose reversals. Supporting supervised consumption services in Edmonton, Calgary and Lethbridge and community-based initiatives to bring these life-saving services to Red Deer, Medicine Hat, Grande Prairie and through a mobile unit in Calgary.